Do supervillains appeal to your more than the superheroes? 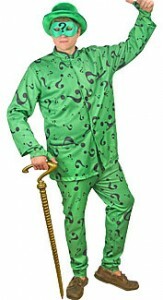 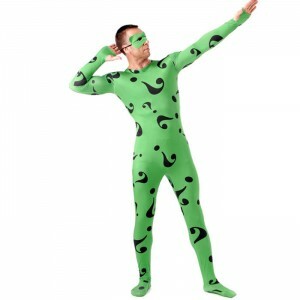 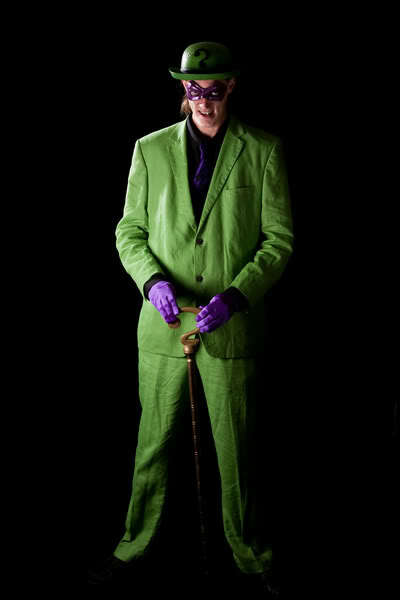 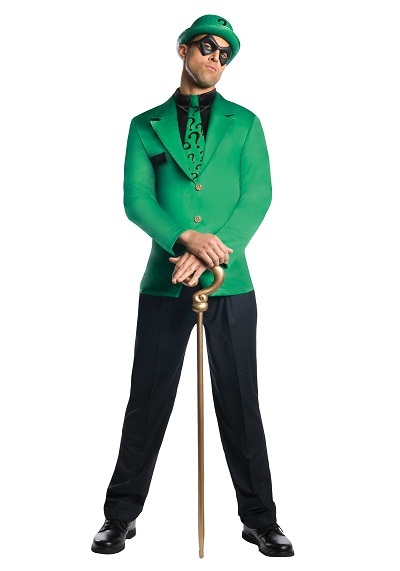 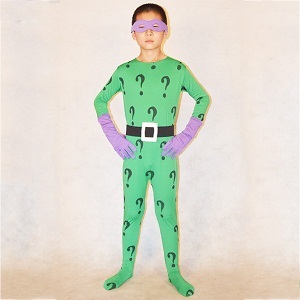 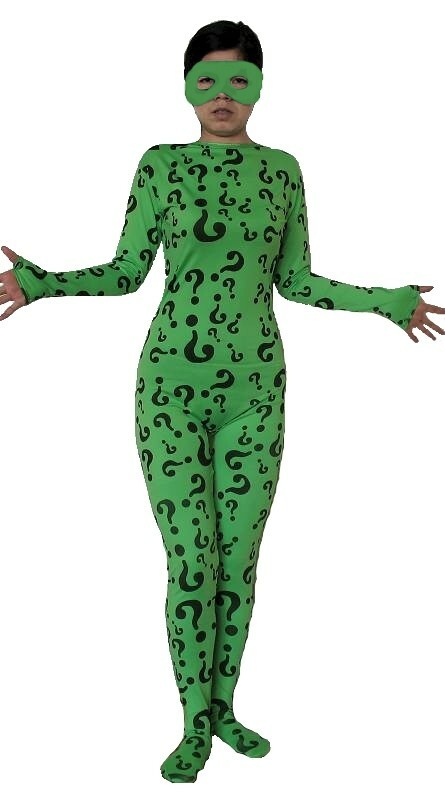 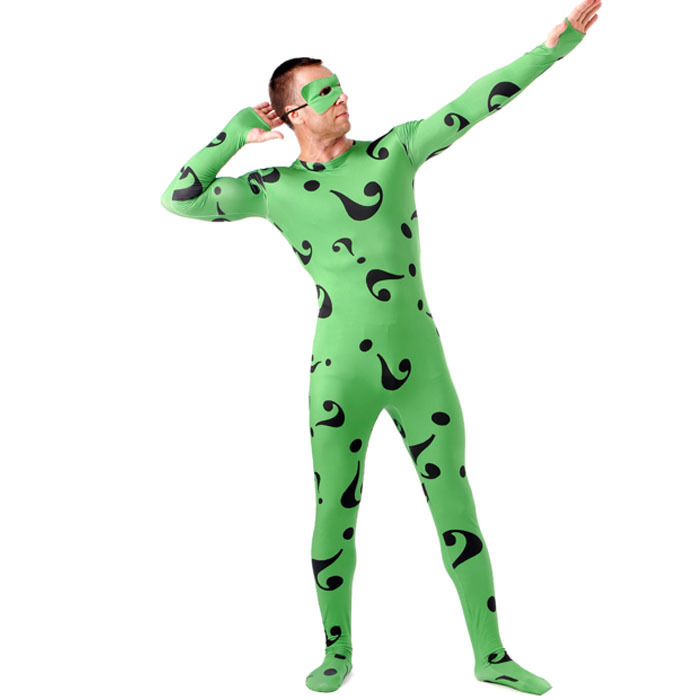 Then this fabulous collection of Riddler costumes would be your best bet. 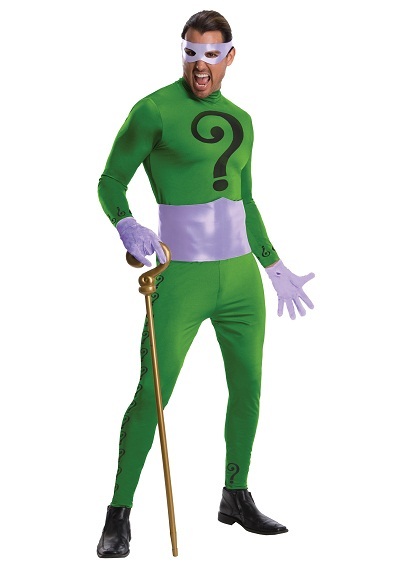 The shrewd anti-hero of the Batman comics comes in a refreshing look in these splendid costumes. 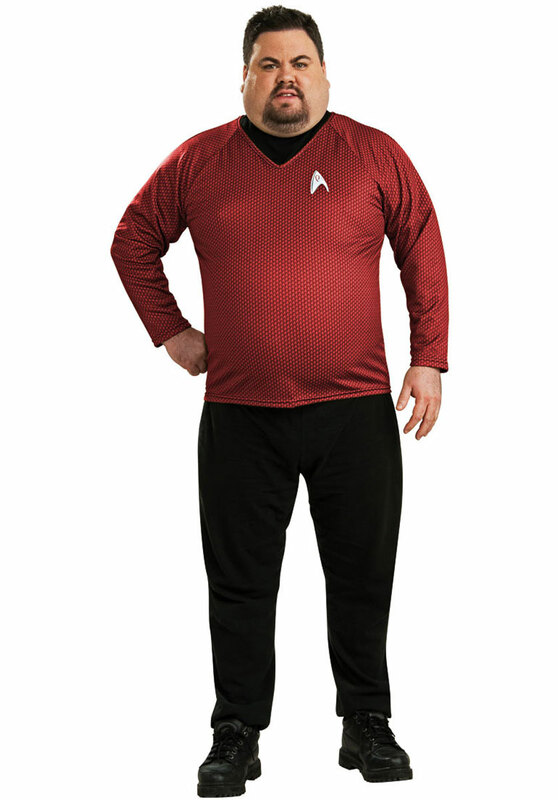 Here is an assorted collection for men. 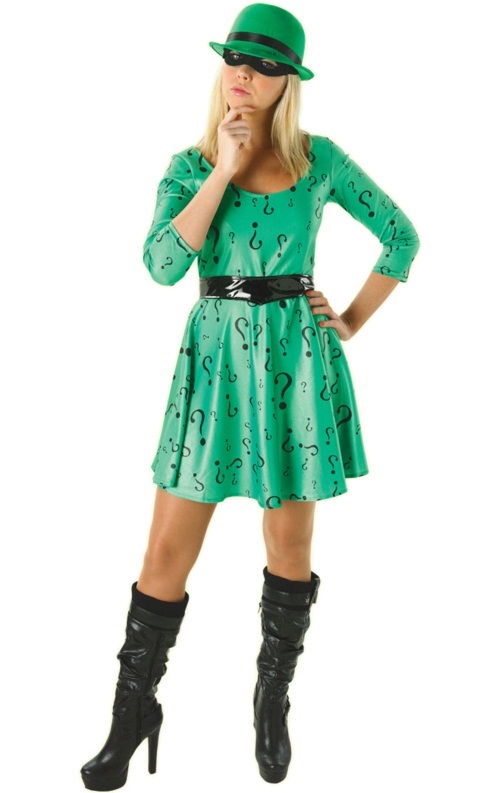 An abundance of question marks adorns all the lush outfits. 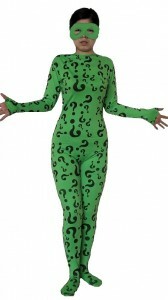 Riddler costumes are not only for men. 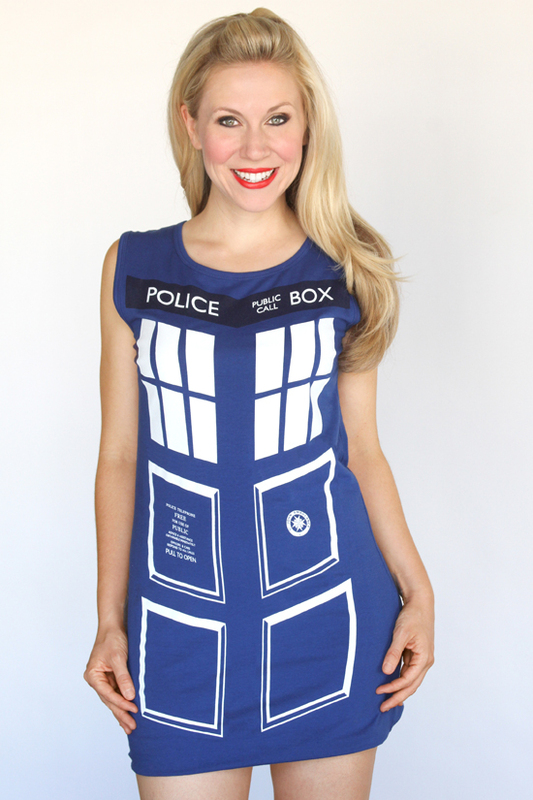 The short, skin-hugging dresses are perfect to show off feminine killer curves in style. 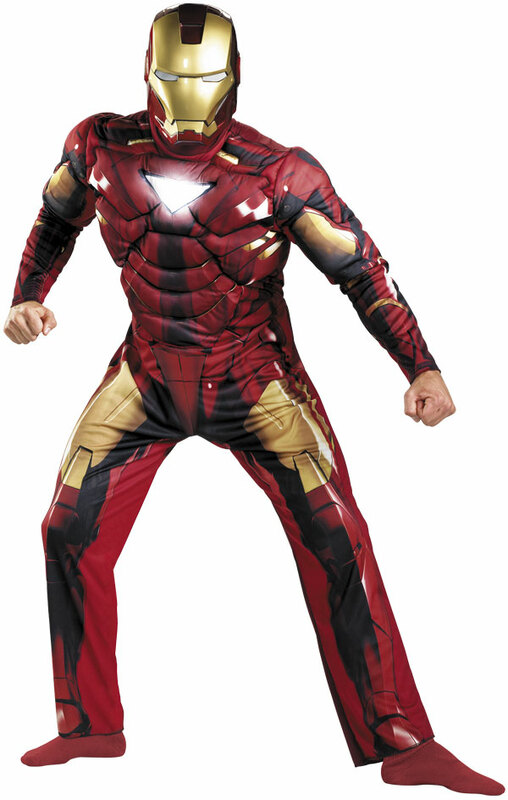 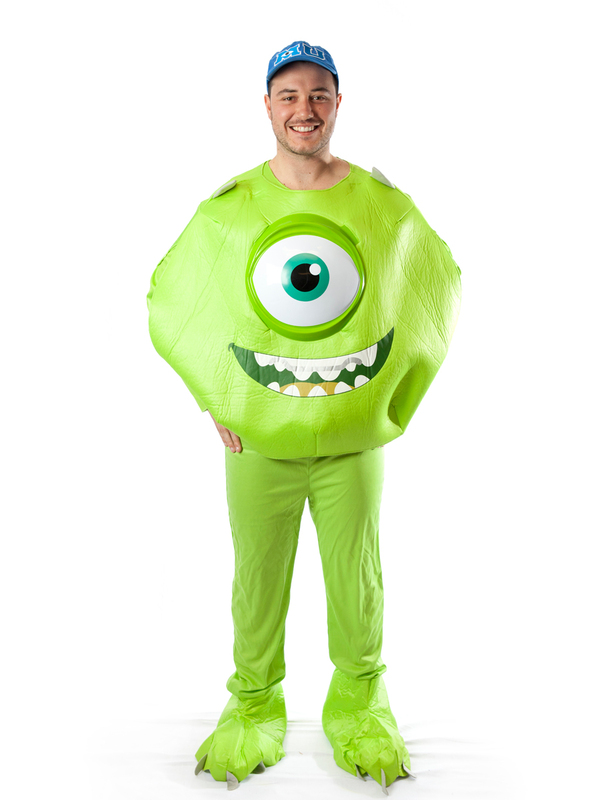 Kids love to attend fancy dress parties looking different from the lot. 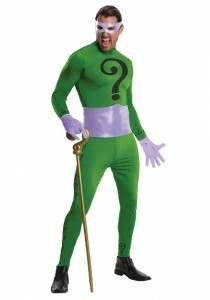 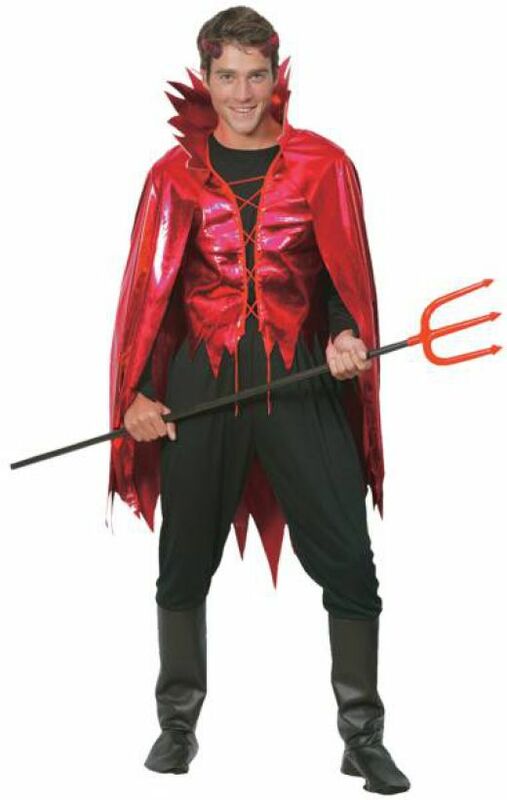 These green costumes offer them ample opportunities to show their mischievous sides.